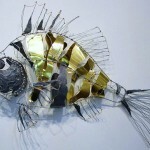 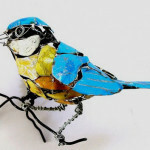 Instead of sending recycled items to the dump, British artist and sculptor Barbara Franc creates beautiful objects from them. 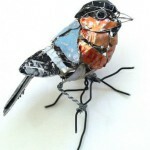 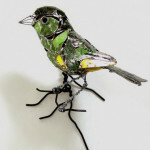 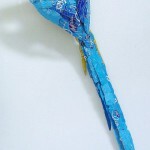 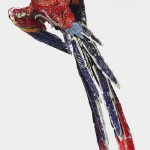 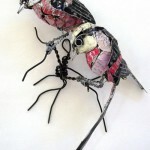 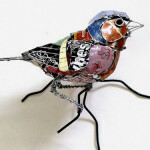 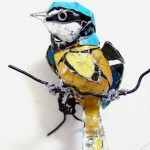 Fragments of household rubbish artist transforms into amazing sculptures of birds, animals and even classic paintings. 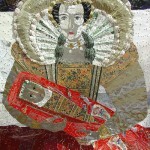 The above painting-like creation is inspired by ‘The Cholmondeley Ladies/Sisters/Twins’ now hanging in Tate Britain. 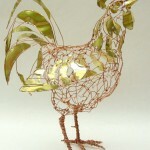 This is Barbara’s own version of it. 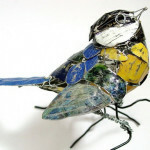 She has cut pieces of recycled, decorative tins selected for their colors, sanded, hammered and distressed before nailing them into place. 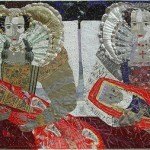 The collars and ruffs are slightly 3D and the whole piece is a ‘painting’ using colors only from the tins. 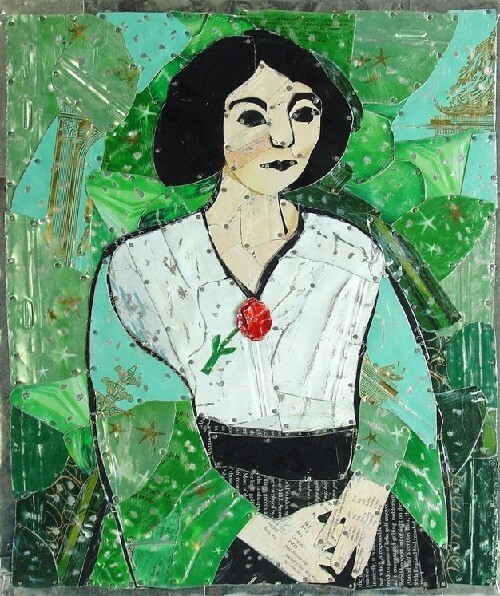 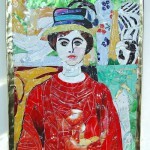 The artist admits “I had enormous fun making this piece which led me on to do a few other homage pieces to Matisse”. 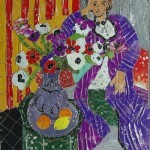 Barbara Franc graduated from Morley College of Art, where she studied Life drawing. 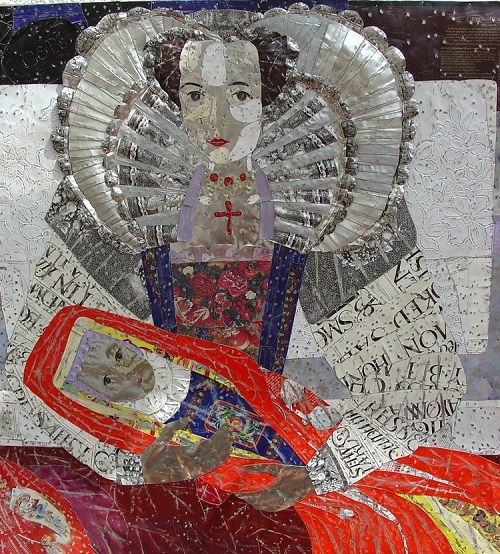 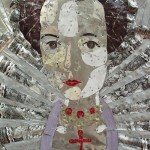 In the late 80s she attended Richmond College, where she studied Sculpture. 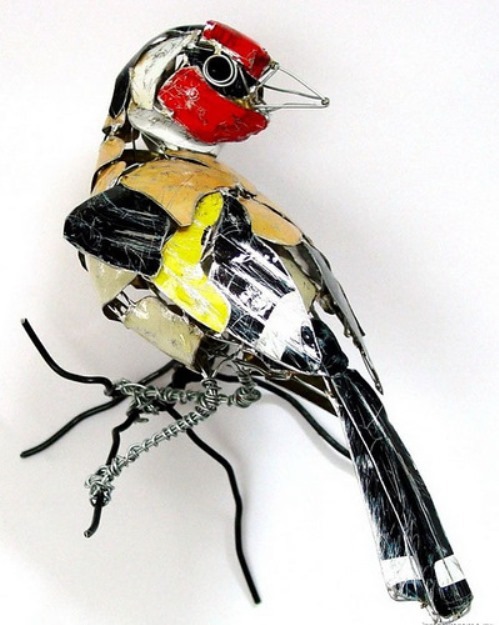 “I have always been fascinated by the shapes and sculptural forms of animals, they present a never-ending source of inspiration to me. 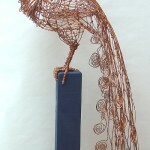 I try to capture a feeling of their movement and presence in my sculpture. 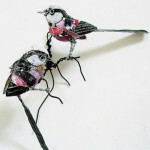 For this I use wire and other materials in a way that suggests drawing in three dimensions”. 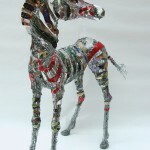 “I increasingly use recycled and discarded materials as I enjoy the challenge of transforming something with a past history into something new and exciting“.